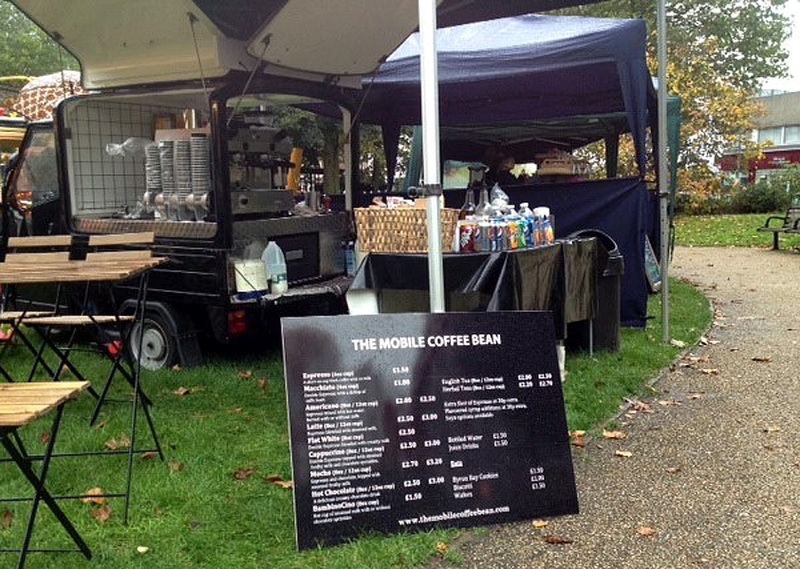 Mobile Coffee Menu for Festivals, Events, Exhibitions, Weddings. 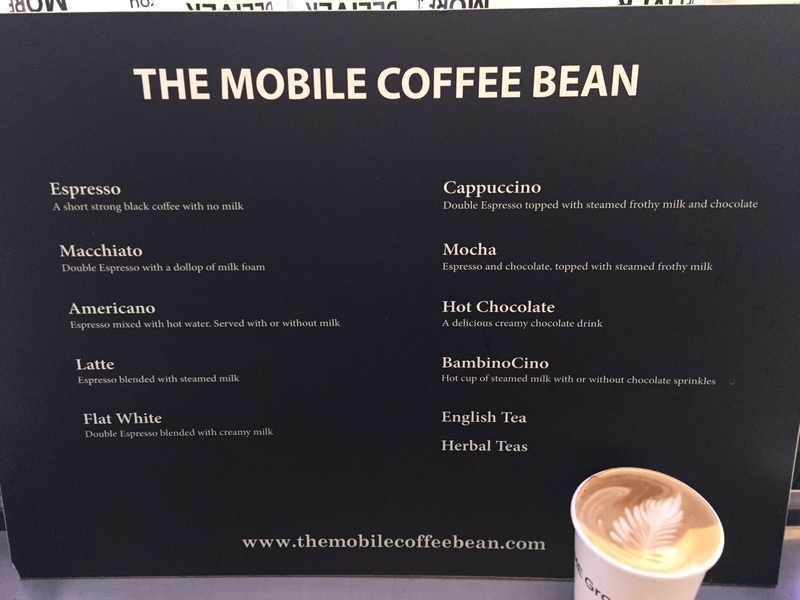 As well as our outstanding quality coffee we also serve Teapigs fresh leaf tea, herbal tea, bottled water, juice drinks and food such as cookies, biscotti and wafer biscuits. A short strong black coffee with no milk. Double Espresso with a dollop of milk foam. Espresso mixed with hot water. Served with or without milk. 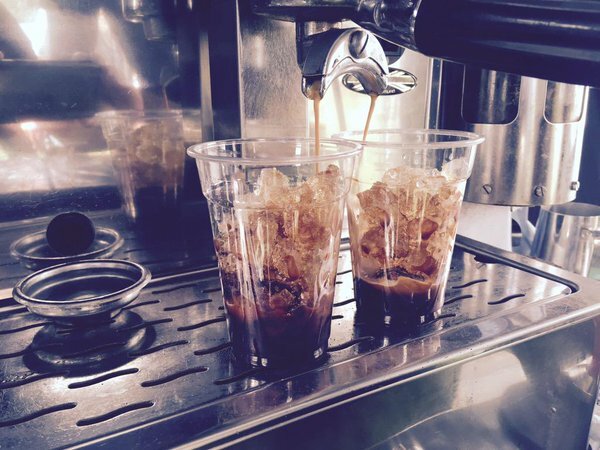 Double Espresso blended with creamy milk. Double Espresso topped with steamed frothy milk and chocolate sprinkles. Espresso and chocolate, topped with frothy milk. A delicious creamy hot chocolate. Hot cup of steamed milk with or without chocolate sprinkles. Extra shot of Espresso available.